« Back to "Policy blog"
Claire* is a SafeLives Pioneer. She experienced years of emotional abuse and manipulation from her ex-partner. A former translator and journalist, Claire – alongside three other women – went on to found the charity VOICES, which supports survivors to rebuild their lives. Here she explains what being a Pioneer means to her. Not having an equal vote within a relationship feels like having no voice. Being a Pioneer for SafeLives, for me, is all about strengthening the voices of others to challenge abusive behaviour. I got involved with SafeLives in the first place because of a simple idea to found a singing group for people like me, recovering from the effects of abusive relationships. That initial contact led to the community group I was part of becoming involved in consultation and eventually, to my joining SafeLives’ Family Friends and Survivors consultation forum. 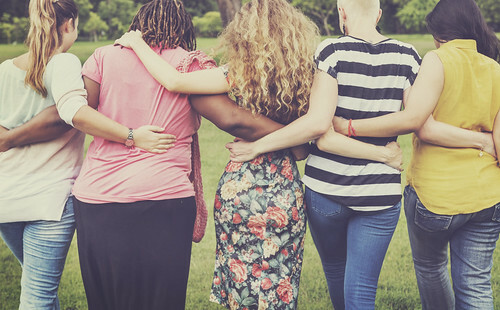 Our local group became the charity VOICES, which I now run, providing holistic support and services for survivors together with training and consultation. Working as one of the SafeLives Pioneers, there is a real feeling of strength and purpose in being part of the national conversation on challenging domestic abuse, and I would like to see as many survivor voices as possible have the opportunity to be heard in the months and years to come.